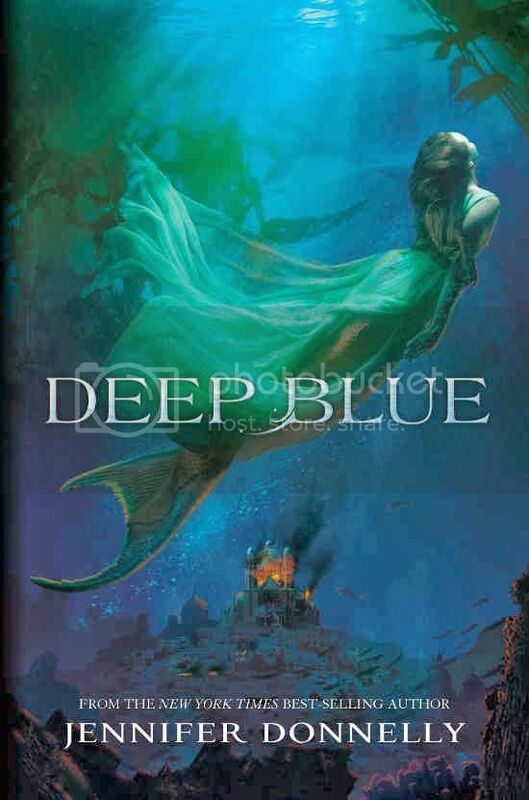 I was super excited to start Jennifer Donnelly’s Deep Blue, as I have heard great things about the author, but have never had a chance to read any of her books before. After receiving a copy of Deep Blue in the mail, I was super curious to try the book out. Here are my thoughts on this book. The story is about a young mermaid named Serafina, whose life changes in an instant on the day of her betrothal. On the run, with her city now in ruins, Sera and her best friend Neela must try their best to escape the evil that threatens them, and find a way to save the sea from the one who wants to destroy everything. The story is told from our two main characters points of view. Serafina and Neela were both interesting characters, and each in their own particular way. They had a really great friendship, and both were determined to keep each other safe from the people that wanted to harm them. They both had qualities that helped them out when they really needed them. I really liked not only their determination, but their friendship as well. The story mainly revolves around friendship between the two girls, so there’s not really much romance in the book, just a bit at the beginning. The world building for the book was quite fascinating, as Donnelly literally built this world from the ground up. It has its own language and objects, character names, etc. The story could get a bit confusing at times because there are SO many words that we don’t know, that belong specifically to this world Donnelly created, that I have to stop and try to remember what the word meant. It got a little better the more that I read, but it definitely slowed my reading processing in the first part of the book. There was quite a bit of action in the book, mainly the girls running from the bad guys. Every time I turned the page it seemed like they were fixing to get caught. That definitely kept me turning the pages. Overall; I thought this book was a really interesting read. I’ve not read too many mermaid books, so it’s kind of hard for me to compare them. I definitely think younger girls will enjoy reading this book. Great review! I completely agree with you. There's a lot of action, and a whole lot of world-building. I got caught up on some the new words and jargon. I agree with you...I think younger MG girls would like this series. It was cute! Great review! I still can't get past the mermaid thing. Lol. But I'm glad you enjoyed it. It definitely sounds like something that a younger generation would like - I'm going to recommend it to my best friend for her daughter, who's always looking for age appropriate books.